Commercial airline travel is not as easy as it used to be. Waiting at a terminal for hours, cancellations, delays, baggage check and full body scanners! Very annoying! Many of our clients expressed that as one of the main reasons they were looking for private jets for hire. Corporate America Aviation is you solution when it comes to finding the perfect jet for you next trip. 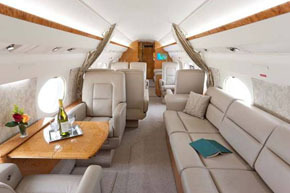 Hiring a private jet with Coporate America Aviation is simple! Are you still looking for a private jet for hire? 1. You can start by either calling us at 1-818-953-7206, 24hours a day, 7 days a week. 2. Get prepared before you call to hire a private jet by viewing our gallery of private aircraft that you can choose. If you don’t see something there, don’t worry! We can hire any charter jet you like, anytime. Just ask! 3. Get an online quote! We are you experts when it comes to private jets for hire, see why we have been in business for over 21 years!